In May 2017, Communications Director Nicole Leeper interviewed Middle East Director Billy Ray and his wife, Dawn Ray, in their home in Iraq. 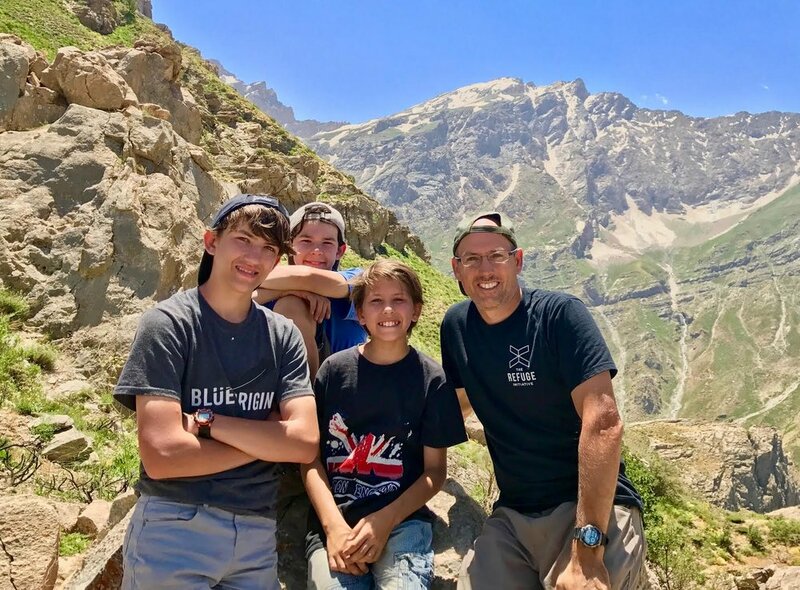 This interview will give you a glimpse into the Ray family's story, while also giving you the opportunity to learn more about the work being done in Iraq. Nicole: When did you first move to Iraq? Billy: We moved July 2008. Nicole: How did you all make the decision to move here? What led to that decision? 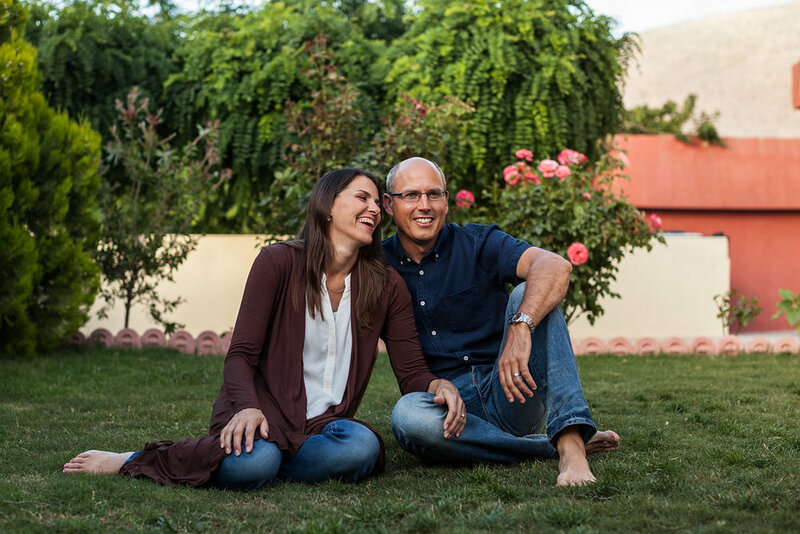 Billy: In January 2007, I was at a missions conference, and Heather Mercer got up to pray for the Middle East. There were over 4,000 people in the room. I was way in the back. While she was praying, I just got this picture in my head of orphaned children in Northern Iraq, and they were just looking at me, pulling on my pant leg. And something just broke in my heart. I just began weeping . . . probably for 10-15 minutes . . . I just couldn't stop. The guy next to me was one of my old buddies, and he said, "Hey, you okay?" It came so out of left field. We didn't know anybody working with orphans . . . especially not in the Middle East or Northern Iraq. So, I just kind of put it on the shelf. I didn't know what to do with that. Also, at the same time, we were in the process of tying up the previous 6-7 years living in Turkey. So, two or three months after that, we were back in Turkey selling or giving away the rest of our possessions there because God just kind of shut that door. It was a really hard time in our lives actually. So, fast forward six months to August 2007. I was meeting with Rod Vestal, and I had been trying to get ahold of him for awhile. We just kept missing each other. Finally, we had coffee. He got a call while we were meeting, so he goes and takes this phone call. When he comes back, he says, "Billy, you won't believe this. We just got permission to work with orphans in Northern Iraq!" Dawn: Well, we had just left Turkey abruptly because Jonathan needed open heart surgery, and then we stayed in America because Peter was diagnosed with autism the same day that the doctor told us that Jonathan was good to go back to Turkey. So, with a three-year-old, an 18-month-old, and a baby, we decided that we needed to stay in America. We had one duffle bag. Everything we owned was in Turkey. We'd just paid a year's rent. We had nothing. We just stayed in America with our duffle bag and a borrowed car. Billy: Well, for nine months we were still thinking, "Maybe we could go back to Turkey." The day before God gave me this picture I had a conference call with these guys at our church and they basically said that we would need to move back to Waco from Dallas, raise up another team, and go out. They didn't want to send us out alone. So the door was just closed. We realized, "We're not moving back to Waco. There's just no way that's going to happen." And 24 hours later, God gave me a new vision, but at that time I didn't know what was going on. I was in dying-to-a-dream mode, you know? Dawn: It seemed impossible because we didn't feel like—with our kids—that we'd be in a position to live overseas again. Dawn: Well, you had been in a state of depression. Billy: Yeah. The church was monitoring me. They sent a counselor by honestly. I was not in a good position. So, it was five days later that I was substitute teaching, and I remember sitting in this classroom. It was fifth grade math, and they were taking a test. I was just sitting there monitoring them. I usually bring my journal to class. I was writing, and suddenly God reminded me of that picture. I just about broke down crying in front of all these fifth graders while they were taking their test. And it wasn't just the connection point. What God did in that moment . . . what I felt him say was, "What if everything you experienced in Turkey–" We experienced a lot of direct persecution in Turkey . . . death threats to kids on our team and molotov cocktails thrown through the windows of our church. People tried to burn the church down. So, I said, "Rod, can you tell me just a little bit about what's going on with orphans in Northern Iraq? How do you get permission to work there?" Rod says, "Well, there's this group called World Orphans, and one of the VPs goes to our church. You want to meet him?" So, I met with Mike and Alan because they were both in Dallas, and before I knew it, they flew me to Colorado. This was in the fall, and I just remember one of them saying, "We've been praying for you for three months. We were just praying that somebody would step up and walk through this open door that we have here in Northern Iraq." Dawn: And so World Orphans didn't know who that person was going to be, and Billy's jumping up and down for the job. I mean, it was still a total step of faith, but we definitely felt like it was clear. Billy said to me, "I think we're supposed to move to Iraq." I said, "Okay, can I just go pray for a minute?" So, I went to this church that had a prayer room. I walked in and there was this huge map on the wall. I was on the floor weeping within a minute, saying, "Lord, my answer is 'yes' no matter what your question is." So, to me, I was super excited at the thought of going back overseas, but it was a definite act of faith. At that point, Peter wasn't quite up to his peers yet . . . mainly verbally. So, we really felt like God was telling us to go in this direction, but at this time, he was on a special diet. He was in speech therapy. He was in a preschool for children with disabilities, so it was a big deal. He was on lots of supplements and doing chelation treatments. We found out that with him it actually wasn't autism. The Lord did miracles. That was in 2007. January 1, 2008, we started raising support. Billy: Yeah, we came on staff. So, it'll be ten years on January 1. Dawn: It was amazing. It was a total miracle. But we felt so confident that God was moving us in that direction. Our motto for that time was "We want to sow seeds of faith in our kids and not seeds of 'what if'." We couldn't stay in fear. What if Peter can't adjust to a new language? What if Jonathan's heart's not okay? What if I can't homeschool my children? (laughs) There were a lot of "what if" questions. We feel like the Lord says to go and we're going to walk by faith. You know, if it doesn't work out, we'll come back. What's the harm in that? Billy: One little confirming story. I think it was the first week of June. We had basically raised our support, except we didn't have the money to pay for our plane tickets, which is a lot of money. We were praying about our plane tickets, and a guy in Dallas heard about our story—he's on the board with Continental Airlines. He just told his secretary, "Give them my board miles. Whatever they need." Billy: That was when we were in Dallas just taking off. We took the return flights 2 1/2 years later. Nicole: (laughs) Oh my goodness. Dawn: Anyway . . . and we didn't pay a penny of it. I remember saying, "I just feel like we're going to have a $10,000 day." You know, we were trying to raise support. That day was when my friend called and said, "You're going to get these plane tickets . . ." Anyway, it was a $10,000 day. Billy: It was actually a $30,000+ day. Nicole: Wow. So, what was the first year like here? Billy: Well, I hadn't really hung out much with World Orphans. Scott asked us to go through training in Colorado. We went up there for three weeks. Dawn: On the weekends, we were able to visit with Scott and Debbie and Paul and Lisa (World Orphans staff and spouses). That was the only real connection. When we came to Iraq, we didn't have a team. And Billy was trying to figure out what World Orphans looks like here, and he's a man that waits on the Lord and is very good about not jumping at something that looks like it can happen quickly but isn't the right thing. Even though it took . . . eight months? Billy: I guess it was seven. It was seven months of assessment. Dawn: In the big scheme of things, it isn't that much at all, but when you're in it . . .
Billy: After seven months of running down all these rabbit trails, finally, I came back to one of the local pastors here. He pastors a Kurdish fellowship in Erbil. I was kind of like, "Alright. I've done everything. What do you think I should do?" He asks me if I've checked out Soran. The guy was speaking in Kurdish. Abdullah—my translator—was translating to me in English, but when he said "Soran" in Kurdish, something kind of leapt in my heart. When someone is speaking a different language that you don't know, words usually don't pop out. It's just a jumble of syllables, but somehow, when he said "Soran", I was kind of anxiously waiting on the edge of my seat for Abdalah to tell me the translation. I just knew . . . Soran. A couple days later, we went up here—where we are now—and we met with the mayor who said "what we really need here is a vocational training center for widows to help them because they are really taboo here in our culture, so if you could help provide some training for them to get some jobs or sustain themselves, that's what we need." And then he went on to share about two pieces of land that he would offer me if I would build it. Billy Ray and community leaders breaking ground for the community center. Billy: Yeah. Two months later, I signed a land protocol—April 1, 2009, and we started this project that we're still working on today. Nicole: Wow. So, from the start of the community center, how has the work changed or developed over the years? Obviously, we know you now do refugee care, but what led up to that? Billy: So for 5 1/2 years, we were primarily focused on the community center as it would be developed as a vocational training center for widows. It took a few years to build, and funding was sporadic. It's an 8,000 square foot building, so it's pretty big. We finished one 1,000 square foot part of the building, and we were using that for 1 1/2 years, and then we finished out the ground floor, so 4,000 square feet with different classrooms. We set up a library. We had a sewing center, a place for exercise, and a kitchen. Dawn: We had two Kurdish ladies that ran a women's center basically out of it for almost two years. Also, in the summer, I would do English classes with the kids. The boys and I would just start having a class, and like six kids would come, and then the next day 20 kids, and then the next day 40 kids, and finally . . . I remember one summer, I had about 75 kids, and it was blazing hot outside. They were just programs I made up, but it was such an opportunity to get into the lives of the people in that community. It was great. I loved it. Nicole: That's awesome. Developing relationships with locals—how has that impacted your ability to work here? Billy: We've taken all our cues from the mayor. He's directed us to build the community center. Later on in the story, when the refugee crisis hit, he directed us to help the Shabak Kurds that had just fled Mosul. Later on, he asked if we'd be able to build a school. Dawn: Now his latest idea is for us to build a medical clinic. Billy: Yeah, then he asked us to do a medical clinic, and that's actually in the works. We're drawing up the plans to do our first medical clinic in partnership with Love Does. There are some unique God things going on here. It really is rewarding to me to be a servant . . . a help to the local people and the local government. The local government is really cash-strapped these days with the local economy and the war. Many government officials are feeling the pressure with the current economic crisis and war with ISIS, and they've reached out to us . . . in some cases, really leaned on us to help them. It's in those times that we face each other with honest hearts and ask, "How can we help these people together?" This is, perhaps, some of the most rewarding moments in our work here . . . where we get to be part of the solution—working hand-in-hand with the local government to help people in need in an honoring and dignifying way. Billy: Well, besides the inestimable help from Tim and Sarah who joined our team here in 2014 right as the refugee crisis unfolded, we do have some key Kurdish friends that help us manage this burgeoning enterprise, helping refugees in a myriad of ways. In order for that to happen, it takes relationships. A lot of my time is spent maintaining relationships with the mayor, other government officials, Hersh, our project manager, and then our director of projects Dr. Kareem. Dr. Kareem happens to be my neighbor and my closest friend here, so we contract all of our work through him. Hersh is our manager. We have 18 total employees, not including the mayor and Dr. Kareem that are like our board. Nicole: So, you have over 30 people? Billy: And America wakes up when you're done with your job. Dawn: I said, "You all have got to stop working around the clock." Sarah's taken charge of the preschool, and I started going to one camp and doing English lessons and stuff like that. Billy: You haven't even touched on the fact that we host like 100 people a year between our houses. Nicole: Oh, that's a lot! Billy: In 2015, we had 250 people between our houses. Just in the first six months, we had 120 in our house alone. Dawn: Yes, and in the meantime, we host lots of people. Billy: We've had guests here since February. Dawn: February to the end of May and then usually September-November. Nicole: Many Americans have what is probably a very narrow view of Iraq: war-torn, depressing, etc. How does the Iraq you've come to know and love differ from that perspective we've gleaned from the news, or does it differ at all? Dawn: (laughs) Yes, it does differ. Billy: Yeah, I mean the Kurdish region is called "The Other Iraq." In fact, you can even Google that. It's Kurdistan—Iraqi Kurdistan. The place where there has never been an American soldier killed. Not in this region. Nicole: Wow. That's an interesting statistic. Billy: They're very proud of that and always share that. Honestly, there are just no battles that go on here. I remember at the height of the war, I watched an interview where a US Army Commander said, "Yeah, we have about 70 troops in the Kurdistan region." 70 . . . That was it. And it's because the Kurds are the beneficiaries of us targeting Saddam and his regime. They experienced all the benefits of that. That's why we are dearly loved and get the red carpet treatment generally wherever we go. I guess that might not be what you see on the news in America. Dawn: Well, and when the war, especially when it was really heavy . . . Mosul is 75 miles from here, but it feels like a world away on lots of different levels. Billy: It's an Arab zone. There is a defacto border between Mosul and Erbil or Mosul and the Kurdistan region. Even though they're only like 40 miles apart, there's a hard, fast border there. There's a trench that's 8-10' wide and 6' deep that they've dug out. In other words, you couldn't drive a truck full of explosives passed that trench . . . which is why they built it. Dawn: And this is a place that's known war. What is it? Every generation for the past four generations has had a war? So, they've learned to go on with normal life. Everything doesn't just come to a halt. I remember this last fall. Things were really heated in Mosul at that time. You know, the closest we felt to the fighting was that all of our friends either had a brother or a husband or an uncle or a cousin on the front line fighting. Billy: It's impossible to look at Iraq with a clear mind if you've been watching the images on TV. We don't watch TV a whole lot anyway. I feel very informed about everything that's going on, but I read all my news. It's partially a habit because I can get my news faster. I also know that seeing those images . . . it changes you. I think most Americans are slightly emotionally handicapped when it comes to Iraq. They can't actually think in a rational way because of the images they've seen. They've been shocked. When you say "Iraq" there's just something that pings in their system. Billy: Yes. It's not just thinking. They're cycling through the images that they've seen. It's like they've experienced trauma or know someone who has, and I can say that I didn't go there. I didn't go down that road. Dawn: When some of the most intense times were on, I never watched one thing. I knew Billy was keeping a pulse on everything that was going on, so I didn't need to see images of beheadings, you know what I mean? I just kept going to the Lord. What are you saying, Lord? In you I find refuge? Okay. Billy: You just have to safeguard your emotions. We don't realize what we're doing to ourselves. I have this little filter on my phone, and sometimes it's annoying, but I remember the Syrian chemical attack that just happened a few months ago . . . I'm always watching Conflict News on Twitter, but I couldn't see all those images because of this filter. You know the whole saga and the emotions . . . I wondered if I should just take the filter off and look, but I don't have to see it. You want to be compassionate, but at the same time, what does it do to you? We just have to be careful. Especially for us . . . I need to have a clear head in the game. Nicole: What's it like raising your family in Iraq? Dawn: We love raising a family here. Our boys love it. They spend most of their days outside. They read a lot. When they were little, I had friends that had to limit how much TV their kids watched, and we don't have power half the time anyway, so it's really nice. If I think, "Oh, we're watching too much," then the power goes out. (laughs) I feel like it's similar to raising our kids in America 50 years ago or 30 years ago where they go out, ride bikes, stay outside, play marbles, play card games. Billy: They've got iPads. Don't kid yourself. But, the neighborhood is like being in America 50 years ago. Dawn: They go, and they play, and then everybody comes home at sunset. They know when the call of prayer goes off that they have to be home for dinner. So, it's nice and convenient. Nicole: Yeah. And they've picked up on the language, too. Jonathan–is he fluent in Kurdish? Dawn: He's fluent for an 11-year-old. Dawn: And Andrew does really well, too. Andrew is shyer. He doesn't speak as much in English either. They've learned the language. They love the food. They love the people. Like any kids, they go through different times. They are the only English-speaking kids their age that are believers . . . that we know of. So, they go through lonely times, but the Lord is faithful and provides opportunities for them. And, you know, it's encouraging to hear them. When one of them might be down, the other two encourages him, saying, "No. I know we're supposed to be here. This is where we're supposed to live. This is where God wants us." So, they have a vision for it. Nicole: The refugee crisis became front and center for people last year. Well, really a couple years ago. For us in the US, it kind of ebbs and flows. Something bad happens, it's on the news, and people want to help. Two weeks later, many of them don't even remember anything is going on. As someone who works so closely with refugees on a daily basis, what would you recommend to people that want to engage? What should a "next step" be for someone who wants to help? Dawn: There was one woman who came here and went to the camp with me. She watched what I did. Basically it's just showing up and being a friend to these ladies . . . and being consistent in their lives. If there's some way to help them, help them. Basically these girls . . . they wanted to learn English, but they were too old to go to school, so they asked if I would teach them English. And so, you know, I've been doing these simple English classes with them. After we left, she said, "I'm going to go back and start getting involved in the refugee center in our city." Find where there is a place that is reaching out or offering assistance in whatever capacity to refugees . . . just getting involved. Be willing to drive them somewhere. The depth of relationship that can happen just by doing some of these physical, mundane kind of things really cannot be thought of as too little for them and it opens doors for that relationship—opportunities for you to just love on them and love the Lord. Billy: There's Sponsor a Refugee, which really does help us to fill the gaps. For example, these new houses that we've built for the refugees . . . they've had some trouble with some snakes. So, we were able to dip into our pockets and help them provide cement plaster to make sure there are no holes around the front of their homes. Things are always coming up. There's plumbing or an electrical issue. In the winter, we're providing kerosene for heating. That's always a big expense. When you sponsor a refugee, it helps us help them in a lot of different ways. Nicole: How do you see The Refuge Initiative evolving and growing in the coming years? Billy: Well, up to this point we've just been in the Soran Valley. We've built 120 homes now. We're slated to build another 80 this year. So, about 200. I think that we'll be in a position where we want to continue developing our model and need to move to another area . . . Dahuk is a likely spot where we hope to begin working in 2018 . . . recreating the same model there with housing, education, and counseling. Nicole: That's awesome. Last question. How can people get involved with and pray for the work taking place through the Refuge Initiative? Billy: People can come. We kind of open our doors in the fall and the spring . . . which is the best time to visit. They can witness what is going on here. We've been serving interns for the first time this year. Nicole: Yah. What are some of the things the interns will be doing? Nicole: Doctors? Nurses? Volunteers? Medical professionals? Nicole: If someone wanted to come and serve as intern or that type of role . . . let's say short-term . . . what would be a minimum length of time to come serve in that role? Billy: I think it's a case-by-case basis. Nicole: Like a vision trip? That's what we call it for Church Partnership. Dawn: Yes. And then if it's like, "Oh my goodness, I absolutely love this," then they can know and we can know. Maybe for the summer . . . that person can come, and we'll have these certain programs we can offer at the camps. Dawn: Yes. This is our first time. Last year we had a girl that came and lived with us for nine months and the Buxtons had someone who came and helped with their kids. But, we do need people in the camps. I'm busy with the kids all morning. What I did was kind of a prototype to what could happen, and it's been amazing. And we have three other camps that it could happen in. Nicole: Yeah. So, there's wide open opportunity. Dawn: Yes! We're looking for people that are mature and spiritually strong and willing to do what's needed to serve locally here.